Swiss watchmaker Harry Winston has unveiled a new limited edition watch in honor of the Chinese city of Shanghai. Issue is timed the opening of a new Harry Winston Pavilion at Shanghai. The collection consists of two male models and three female models. Design of the novelty Harry Winston Midnight Limited Edition Shanghai echoes the architecture of the big city. Like a bridge connecting East and West, iconic arches of Harry Winston inspired facade of the new pavilion in New York, made in the neoclassical style, and characteristic of Shanghai's urban style Shikumen (which means "stone gate"). Located in the heart of the case, is selected well-known decor of Harry Winston "triple arch”, echoing the architecture of Chinese metropolis traditional houses. Hours and minutes are indexed in the novelty Harry Winston Midnight Limited Edition Shanghai on the dials decorated with Shanghai motifs intertwined with the diamond arch pattern. The case of the model in rose gold with a diameter of 32 mm housed the refined arabesque motif adorning the radiant, polished to a satiny surface of the champagne-colored dial. This romantic creation is decorated with 84 diamonds weighing 1.74 carats and comes on a white satin strap. The second female model has a 39-millimeter case of white gold. On the dial of this novelty geometric inlay is set on the jade disc set. Its rich green color that symbolizes harmony, prosperity and health in China, gives to the watch an original androgynous nature. This model is decorated with 104 diamonds weighing 0.31 carats, comes with a matte black alligator strap. The third novelty Midnight Tourbillon GMT Limited Edition Shanghai attracted the attention with the red elements of decoration. Red in Chinese culture - a symbol of joy and good fortune, and figure 8 in red - a symbol of happiness and good fortune, is available on the secondary display second time zone with day / night indication. When you switch time zones appears Shanghai, written in red letters. The figure 8 is also located on the displaced from the center of the tourbillon ring of the fourth model Midnight Tourbillon Limited Edition Shanghai. Designed on the basis of the automatic mechanism with a 110-hour power reserve, the models come with 45-millimeter case of white gold and a crocodile strap in black. The latest fifth model Harry Winston Premier Feathers Limited Edition Shanghai, with its stunning red dial, opens the door to a world where the essence of beauty expressed in its original form. The dial of this masterpiece is made using the technique of marquetry, which is paved with red feather and established in the best tradition of miniatures on the feathers. Thumbnail is created on the dial of the master Nelly Saunier practitioner in this difficult art. Each created dial is unique in its complexity of implementation. 67 diamonds weighing 1.4 carats highlight its sophistication and elegance. The novelty is released in a limited quantity of 8 items with dark red satin straps. 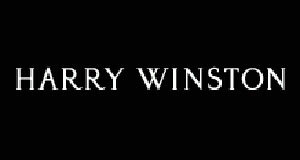 To buy watches will be available through the authorized representatives of the company Harry Winston.